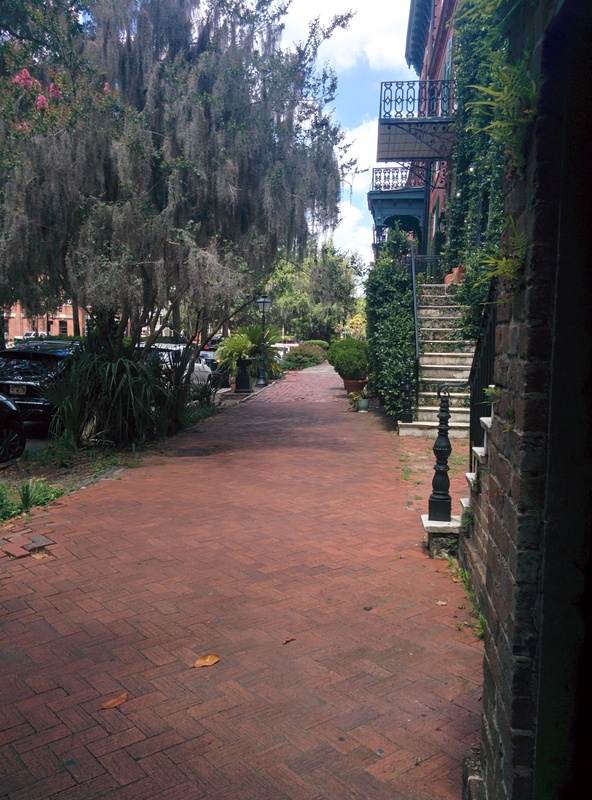 Savannah has got to be one of the most picturesque cities I’ve ever been to. There’s ​an abundance of greenery and every house or apartment building looks very homely or absurdly opulent. The city was one of the first in the United States to be arranged on a grid system making it very easy to navigate around. 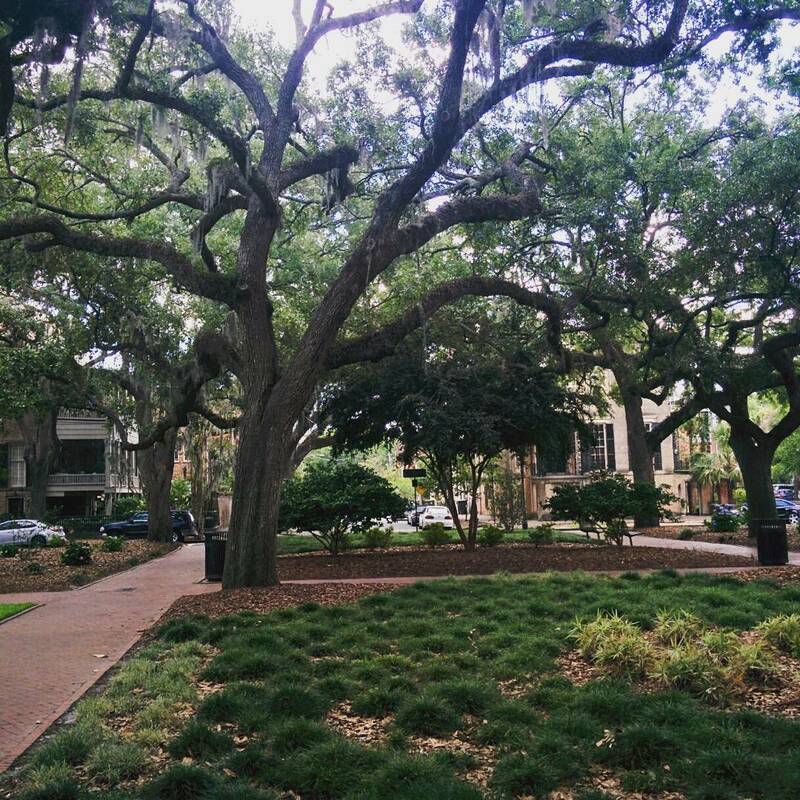 There are 24 squares in Savannah, each lush and green, and lined with benches welcoming anyone to take a break and admire the beauty. Most of the squares also feature a statue dedicated to a historic figure. However, one square features no such statue and there are significantly less benches. Calhoun Square, as pointed out by my tour guide, Jeff – a young man dressed like a cross between Indiana Jones and Keith Richards – is a lot ‘lumpier’ than most other squares and there is no central focal point dominated by a statue. That’s because the square, and 60ft in all directions of it, is the site of a mass grave for slaves. The roots of the enormous trees are comparable to the size of the branches. As these roots develop they stir up the earth and push to the surface whatever is beneath. Sometimes this includes bones. In fact, while installing street lights around the square in 2004, a human skull was found prompting an investigation into whether the skull was historic or whether it was more recent and warranted further investigation by the police. The skull turned out to be historic, providing a reminder of Savannah’s dark past.